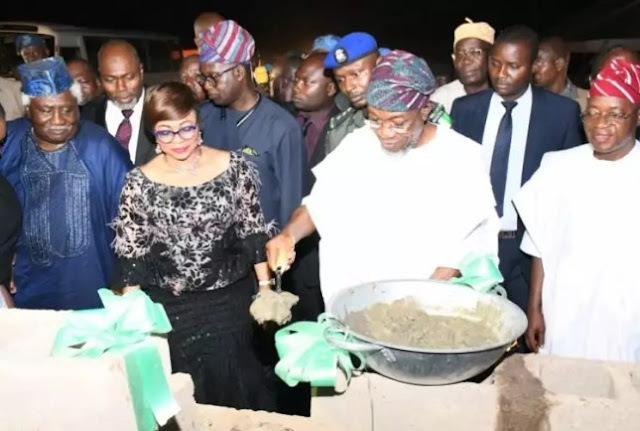 Billionaire businesswoman Folorunsho Alakija and chancellor of Osun State University, has laid the foundation for the 250-bed teaching hospital she is donating to the university. This is in fulfillment of the pledge she made shortly after her appointment as the Chancellor of the university in 2016 by the Governor of the State of Osun, Rauf Aregbesola. The idea for this hospital was borne out of my love for the young ones, mothers and indeed humanity. The event of today is the fulfilment of my pledge when I was appointed Chancellor by the Visitor to the University, Ogbeni Rauf Aregbesola. In Nigeria today, there are few children’s hospitals. If our children who are the future of this country do not have access to timely and qualitative medical services, then where lies the future of this country? We must do everything in our capacity to ensure that our children and teens have everything necessary for them to grow and excel, and one of such necessities is good healthcare services. Maternity& Neonatal Medicare, Research & Diagnostic Laboratories, State of the art operating Laboratories, cutting edge Diagnostic Imaging, inclusive of C.T Scan, M.R.I Scan Facility, Ultra-Sound Scanning Facilities, X-ray and Radiotherapy Suites, Lecture rooms, Necropsy and Morgue.